According to Ben Healy writing recently in The Atlantic, there might be evidence to suggest that gossip is healthy and good for us. Really? To my mind there’s a slightly onomatopoeic quality to the word itself, with the hiss of a whisper at its center and the heavy thud of its first syllable both implying that surely nothing good can come of it. Have you ever stopped to wonder where the slightly strange word comes from? 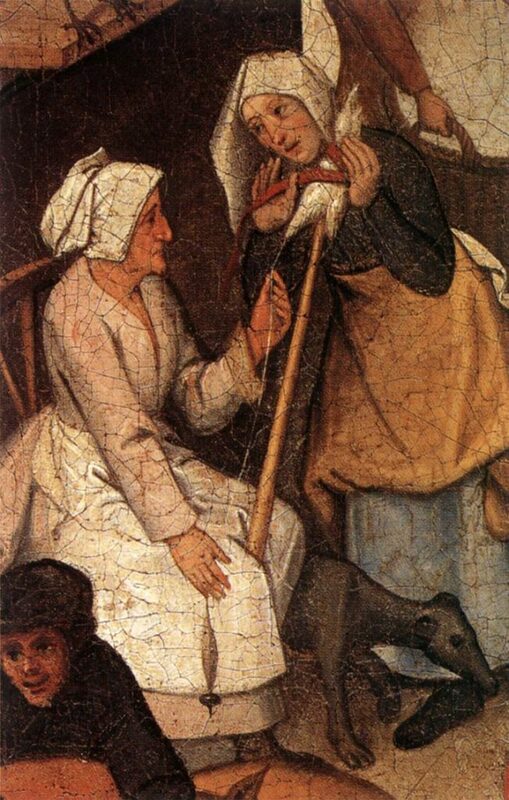 It wasn’t until 1811 that the sense of gossip took on another meaning: in addition to the idle female tattlers it had described since Middle English, now it also defined “the conversation of such a person; idle talk; trifling or groundless rumour; tittle-tattle.” And that’s the principal meaning of the noun we know and use today, although it still also describes the people from whose mouths the chatter spills. Their character is much different from the God–sibbs of yore, and their conversation surely lacking in their original godliness.